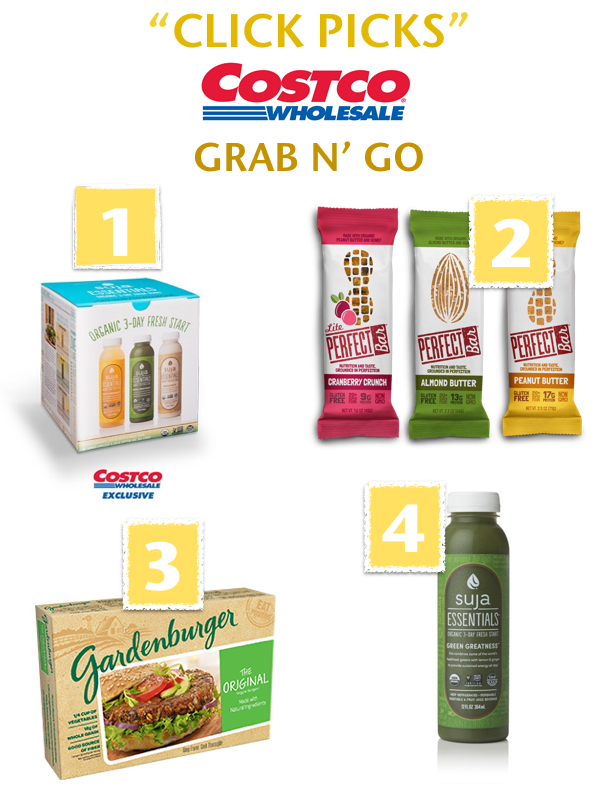 Grab n' Go "Click Picks" from COSTCO! Many days we don't have time or energy to make meals, snacks, etc. . . . For that, I'm offering my Grab n' Go, "Click Picks" from some of my favorite stores! First up . . . Costco! SUJA's 3 Day Fresh Start consists of organic Suja Essentials cold-pressured beverages that provide the healthful hydration and nourishment your body craves. 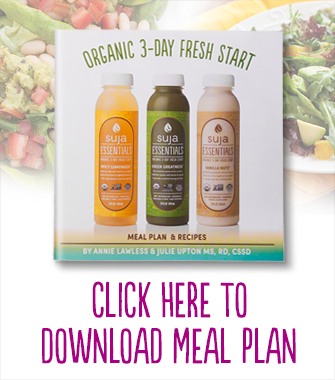 In addition, you will consume 3 supplemental mini meals designed by Suja Co-Founder and Certified Holistic Health Coach, Annie Lawless. The meals are quick and easy to make, so it's suitable for anyone! See meal plan below! 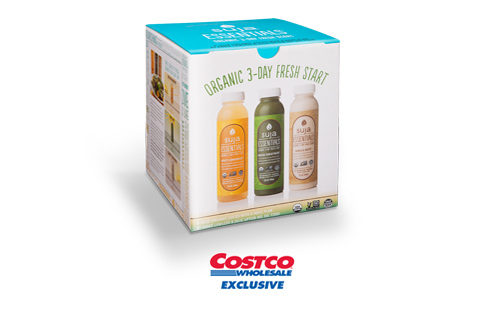 *The 3 day fresh start is only available at certain Costco stores, so check HERE for a list of SUJA's participating Costco store. My Costco only sells the Green Greatness, but you bet your bottom dollar I buy them every week! The cost savings is incredible as a two-pack (2, 24 ounce bottles) costs only 8-9 dollars! If you're a juicer or juice buyer, I know you can appreciate that price! 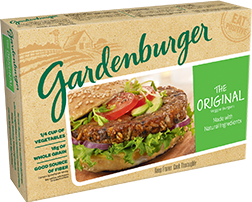 Sometimes I need a heartier meal or snack and these veggie burgers hit the spot! They are filled with vegetables, oats, and brown rice and super easy to pop in the toaster oven for a quick lunch or dinner! In addition to eating as a burger patty, I also add them to my veggie tacos! Visit The Food Click's profile on Pinterest. or anywhere else . . .
What are your favorite grab n' go picks from Costco? !